On toasted sourdough bread, I spread some smashed avocado with a squeeze of lemon and a sprinkle of sea salt. 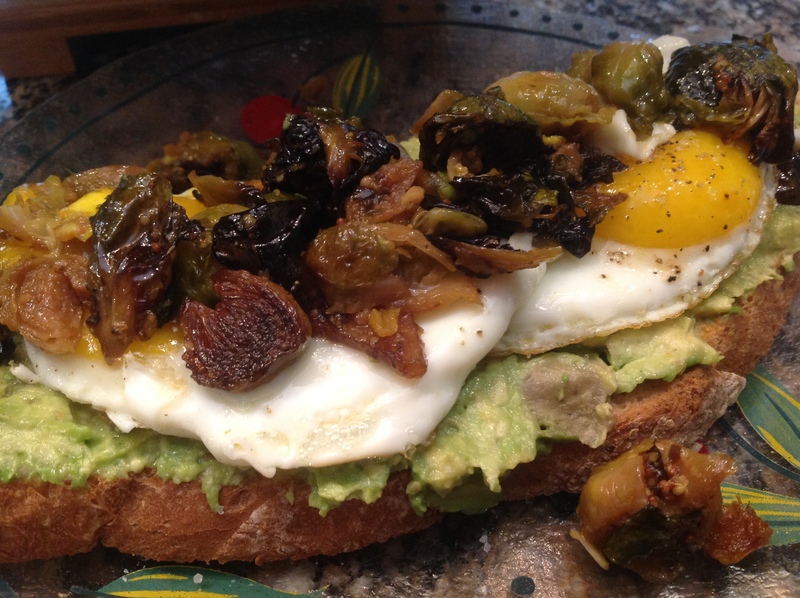 I fried 2 sunny side up eggs and sat them over the avocado. In the same pan, I sautée leftover brussel sprouts just to warm them up and scattered them over the eggs. We had made our brussel sprouts with bits of bacon so they were especially suited to breakfast leftovers! Prince Charming was a very happy man! On toasted sourdough bread, I spread reheated mashed sweet potatoes. On top of this, I placed sunny side up fried eggs. I finished this dish with some cranberry sauce. Delicious! From the archives, this lemony pasta soup originally made with chicken could be made with your leftover turkey. It is refreshingly different with its creamy base and crispy snap peas. Recipe accessed through the highlighted title. Think of shredding the left over turkey to mix with your favorite add ins much like you would for chicken salad. Here I paired turkey with holiday leftover staples like walnuts, apples, celery, cranberries for a seasonal version of favorite chicken salad. Recipe accessed through the highlighted title. Craving something totally different with TexMex flavors? Substitute turkey for the chicken in this recipe for salsa verde turkey enchilatas. Bottled salasa verde makes it easy peasy. Smothered in a cheesy topping, it will be everyone’s favorite. Recipe accessed by clicking on the highlighted title. 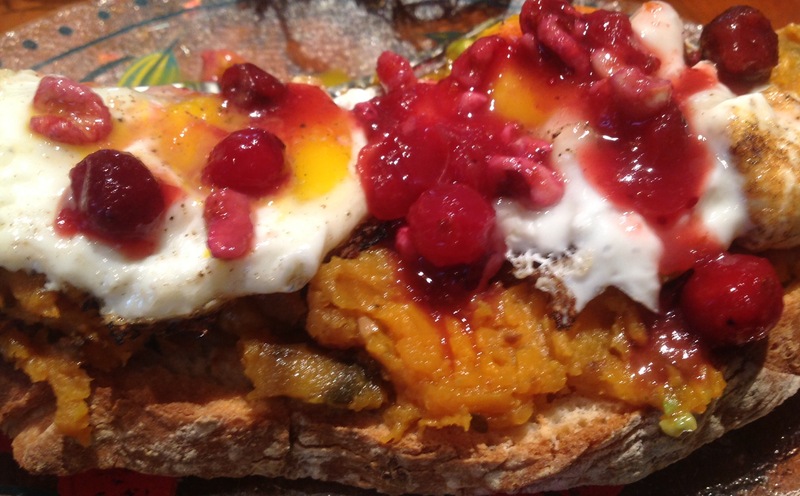 Have leftover squash? Turn it into a squash bisque soup! Leftover cranberry sauce is super good topping your morning oatmeal. 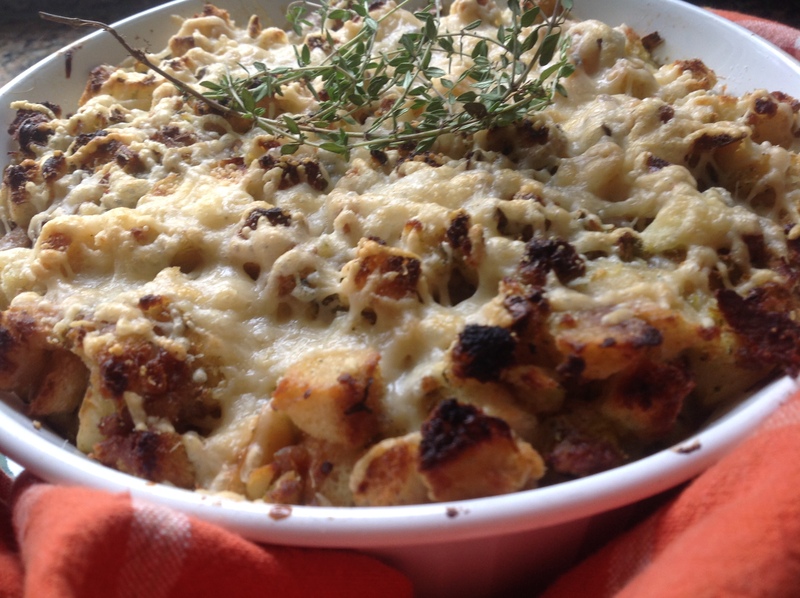 Have leftover stuffing? Add a few eggs whisked with milk or light cream, and bake it into a savory breakfast bread pudding. For our version, I added 4 large eggs beat in 2 cups of light cream to about 8 cups of stuffing. It was baked it in the center of a 350F oven for 15 minutes, uncovered. At the end, I sprinkled 1/4 cup of shredded parmesan cheese on top and put in under broil for 3 minutes just to melt the cheese. Decadent reinvention of left over sausage-apple-leek cornbread stuffing. Gobbled right up! Got leftover mashed potatoes? 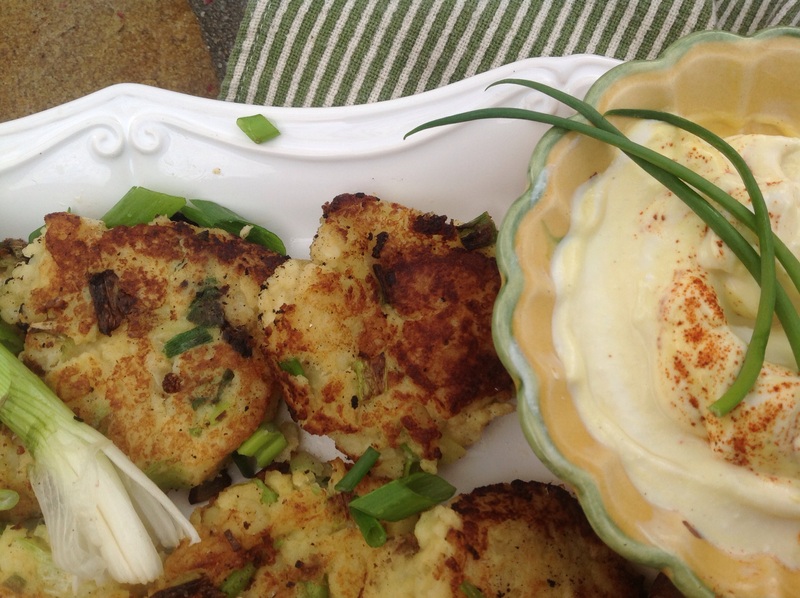 Turn them into these delectable potato fritters with scallions and a mustard dipping sauce! Recipe accessed by the highlighted title. Hope you had a great holiday with a lot of leftovers you can get creative with in the kitchen! What’s your favorite way to use up leftovers? 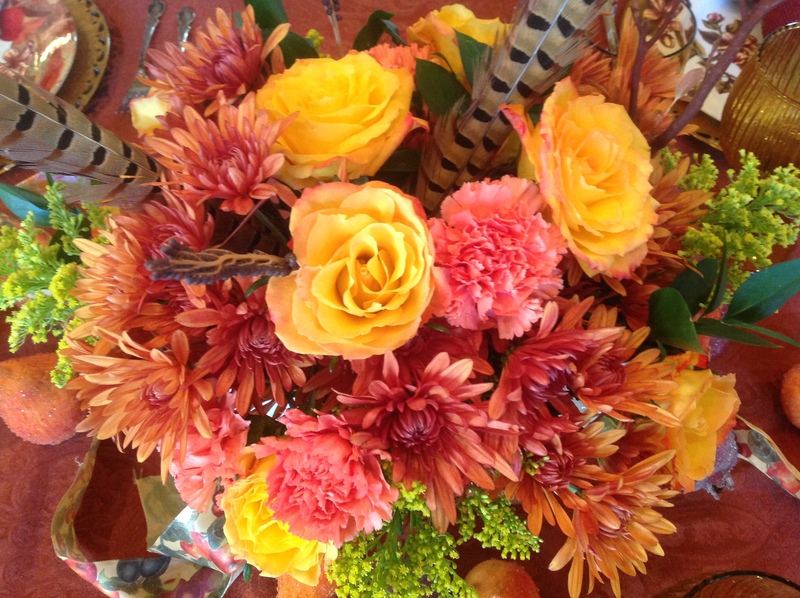 This entry was posted in Recipes and tagged brussel sprout avocado toast, cranberry sweet potato toast, cranberry walnut turkey salad, lemony turkey pasta soup, salsa verde turkey enchiladas, Stuffing breakfast bread pudding by Johanne Lamarche. Bookmark the permalink.